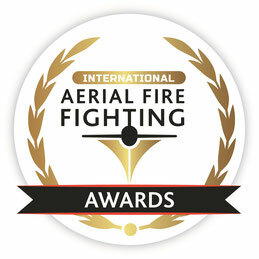 International Aerial Firefighting Awards are presented annually to recognise a significant contribution by an individual or organisation to aerial firefighting. The Awards were inaugurated in honour of the late Walt Darran and is previous known as 'Walt Darran Award'. Walt was a pioneer and advocate for advances in aerial firefighting. Being a highly experienced S2-T airtanker pilot and former highly decorated US Navy aviator from California, USA, Walt was a constant and passionate advocate for safety and improvement in the international aerial firefighting community. For the first time the Award for Aerial Firefighting Innovation and Advancement was presented jointly to Kestrel Aviation of Australia, Coulson Aviation of Canada and Mr Wayne Rigg from Emergency Management Victoria in Australia, for their ground breaking, collaborative work in developing safe and effective practices for aerial firefighting at night using helicopters equipped with Night Vision Goggles. 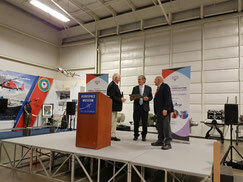 It is especially fitting to make this award jointly, as it recognises the fact it was a collaborative project where the organisations worked together to improve aerial firefighting and to deliver new capabilities. The Aerial Firefighting Awards 2019 ceremony took place on 19th March during the AFF Europe 2019 conference dinner. Read the full announcement. The nomination process is now closed. Watch this space for the winners announcement.